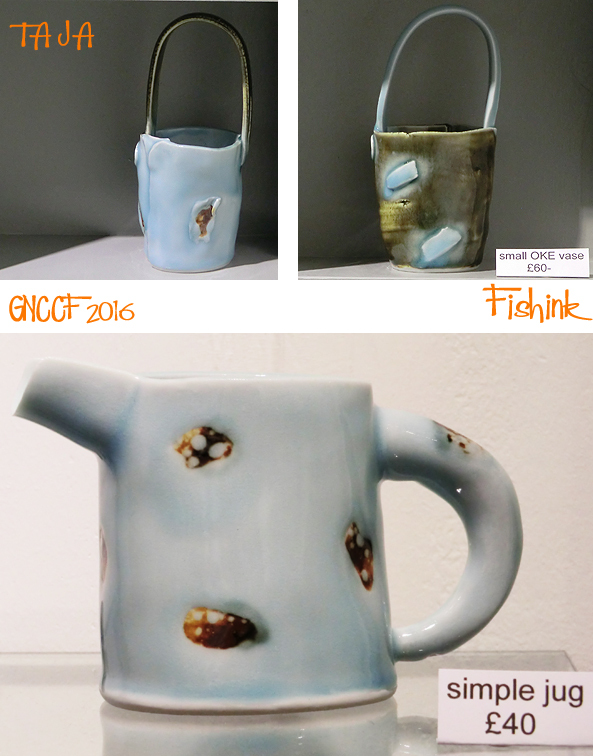 Hi everyone, following on from last monday’s post and part 1 of this years GNCCF review. Here is part 2 ! 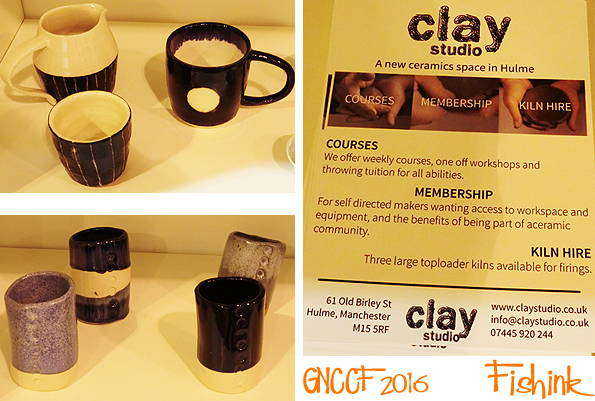 We start with some hand-built clay work based on natural forms by ceramic artist Anne Haworth. Looking like a great find from the seashore, but created by casting dozens of Romanesca Cauliflower florets and molding them onto a larger pot form. Anne must have great patience and also a keen eye for symmetry. 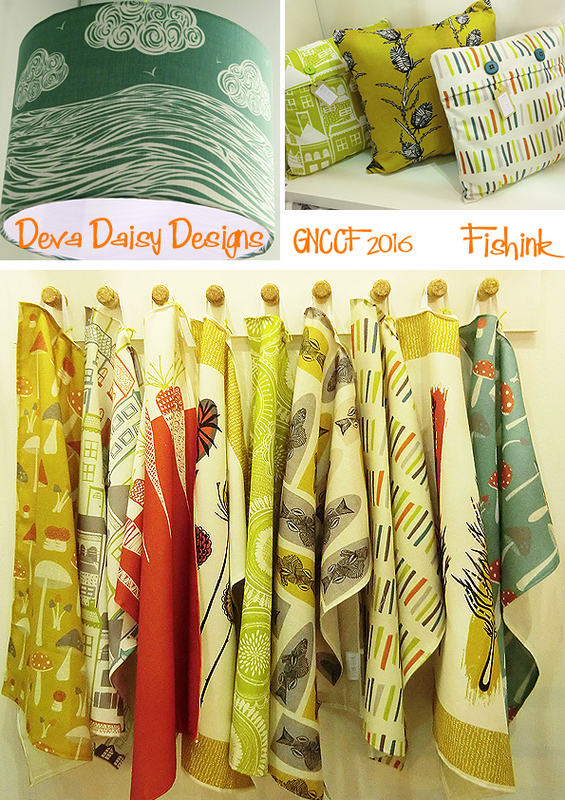 Deva Daisy Designs is a pure treasure trove of 1950’s love. 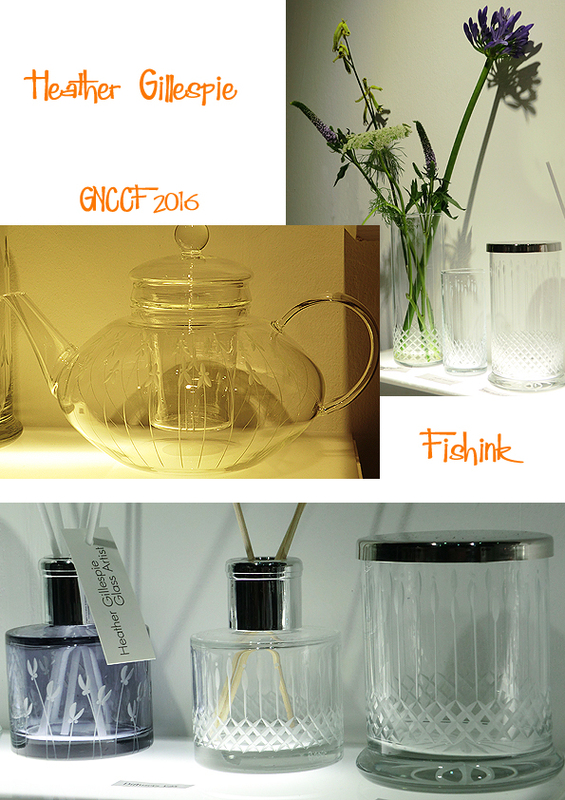 The designs are all created by Deva Booth, mixing Scandinavian inspired themes with a cool, calm retro palette. Hand printed here in Manchester, snap up a tea towel today. Some lovely illustration work from artist Mandy Cleveland. 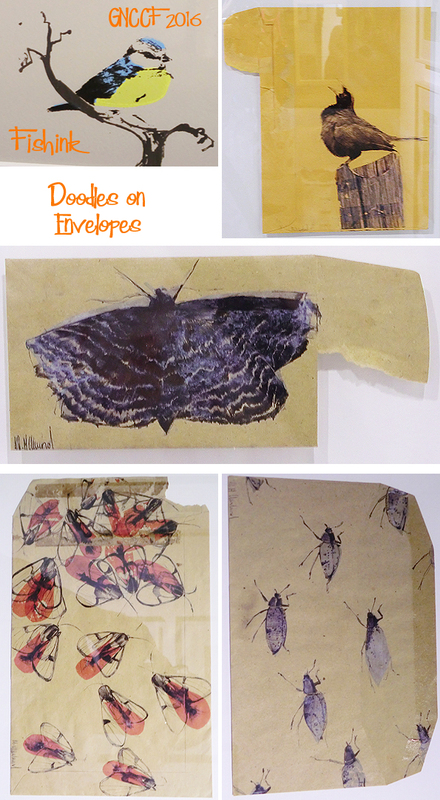 Her hand drawn, individual style appears on used old brown envelopes. Such a beautiful way to capture a fleeting moment. 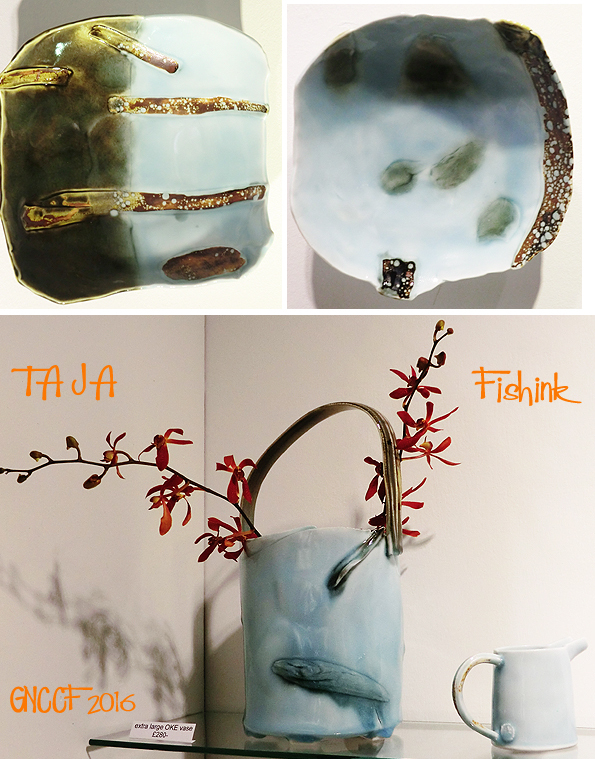 My second ‘best in show’ award goes to the serene work by another Japanese artist, Mizuki Takahashi. 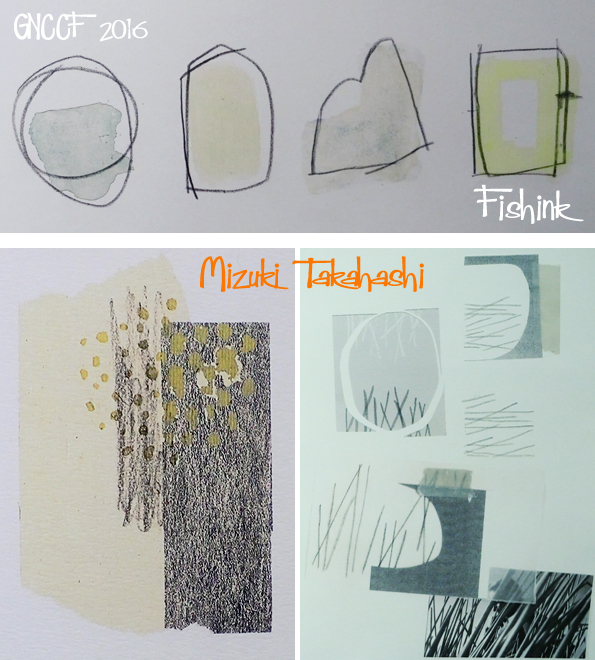 (For some reason I can’t get her website to link but it’s http://www.mizukitakahashi.co.uk ). 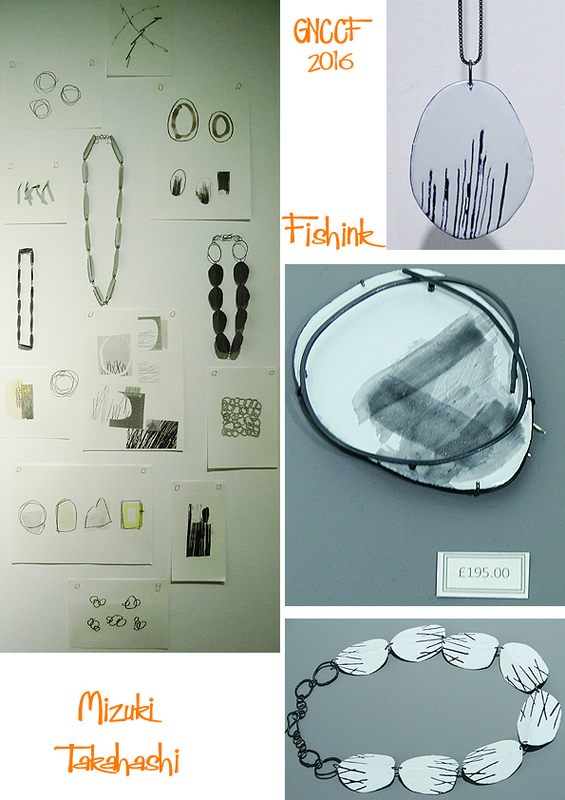 I was enthralled by her mark making and the chaos and calm that flowed through her jewellery and drawings. Chatting to Mizuki, she told me that she also had a love of 1950’s, I thought her art would work well in a contemporary children’s book, anyone else think so too ? 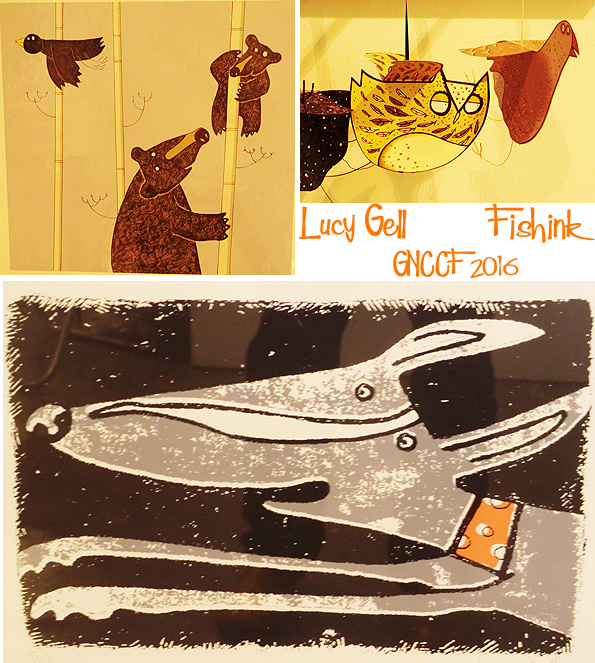 For sheer fun and amusement, I also loved the work of Printmaker and Illustrator Lucy Gell. Again with a lurcher like Boo (my faithful friend) I can’t help but wonder why I like these so much lol. Also a lovely range of 3-d bird cards too! 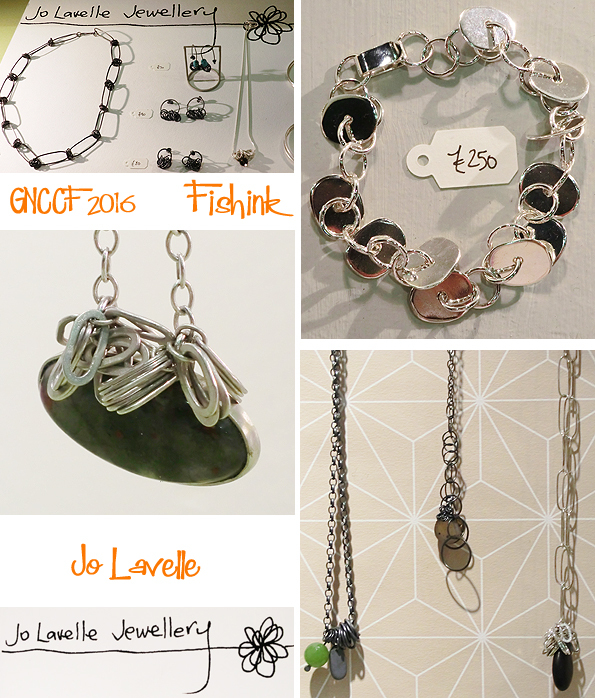 Talented jeweller Jo Lavelle was showing some ‘clusterful’ new work. Silver made sublime. 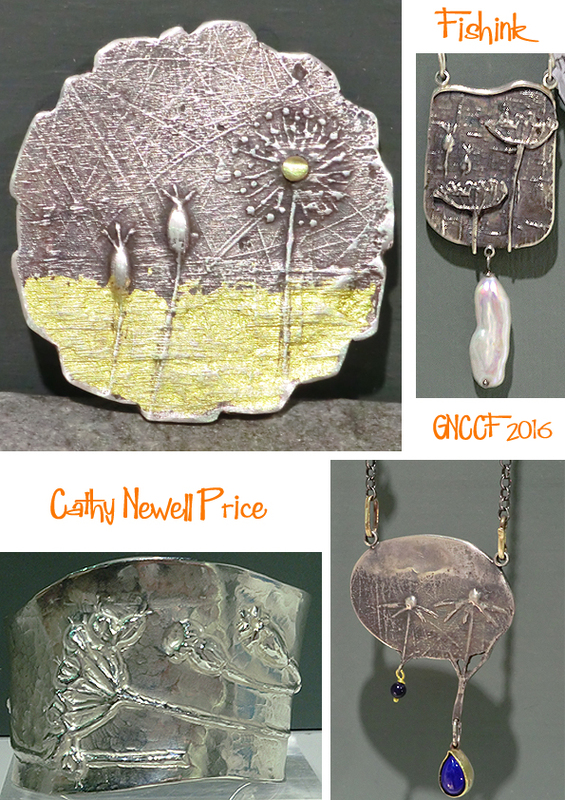 Nature inspired jewellery from another talented designer Cathy Newell Price. 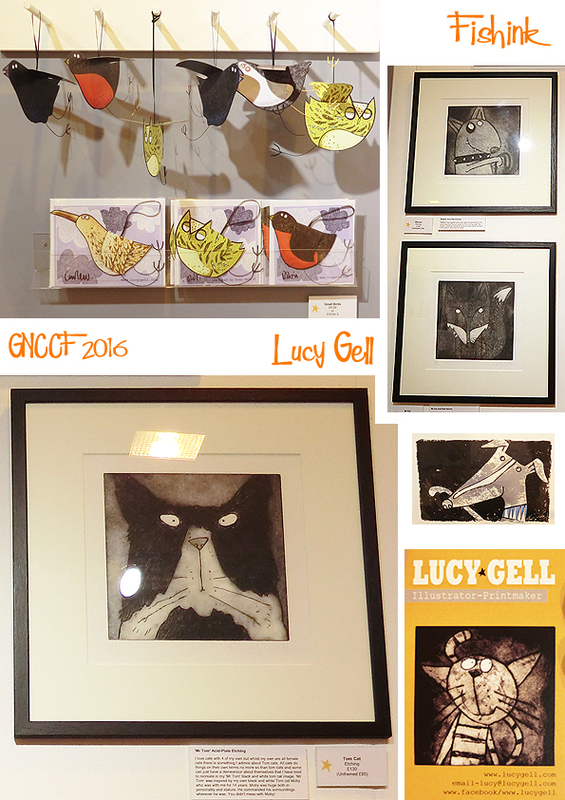 Cathy’s work often tells a story of a seaside walk or the changing seasons. It’s no surprise that her degree was in Plant Science ! 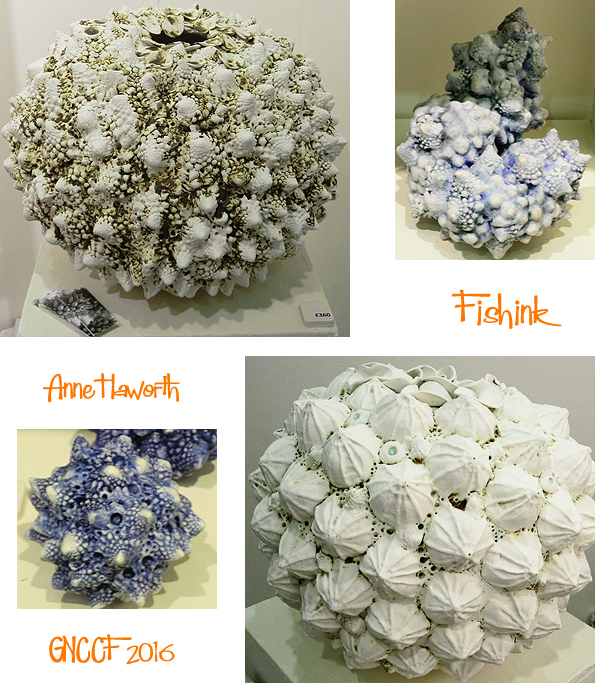 Beautiful tiny sculptured pieces, that my photos can’t possibly do real justice to. 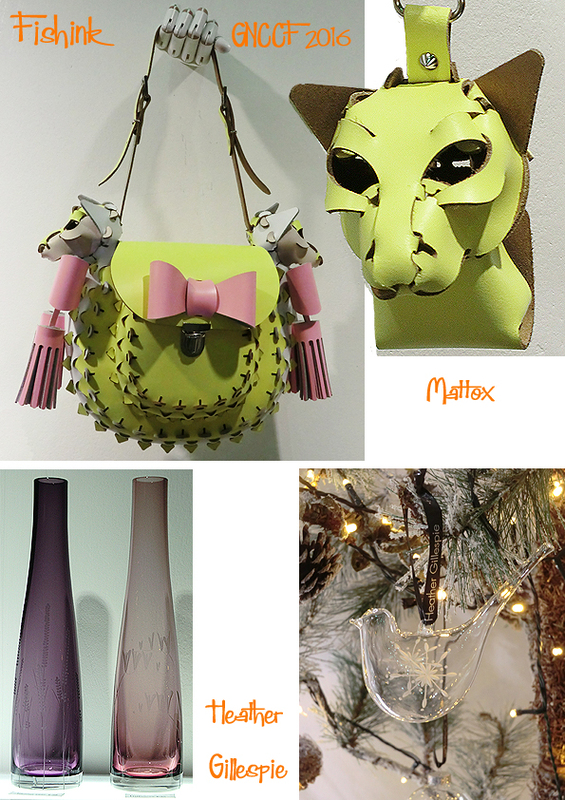 More amusing animal forms from leather bag designer and creative director Lee Mattocks. In the future, Lee was telling me that parts for his range of bags will be available to order separately online, so that if a piece wears out or you want a different colour, you can replace it and make your personal bag bespoke to you alone… how exciting. 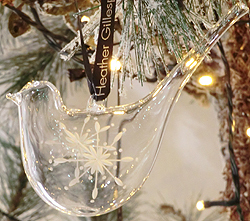 Heather Gillespie was showing a delicate range of hand engraved glass tea ware. 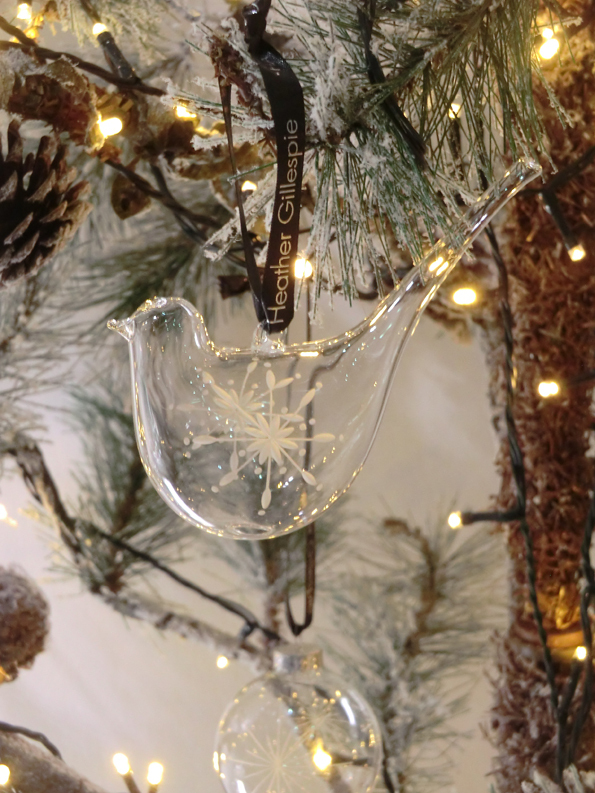 I particularly liked her bird shaped christmas decorations. 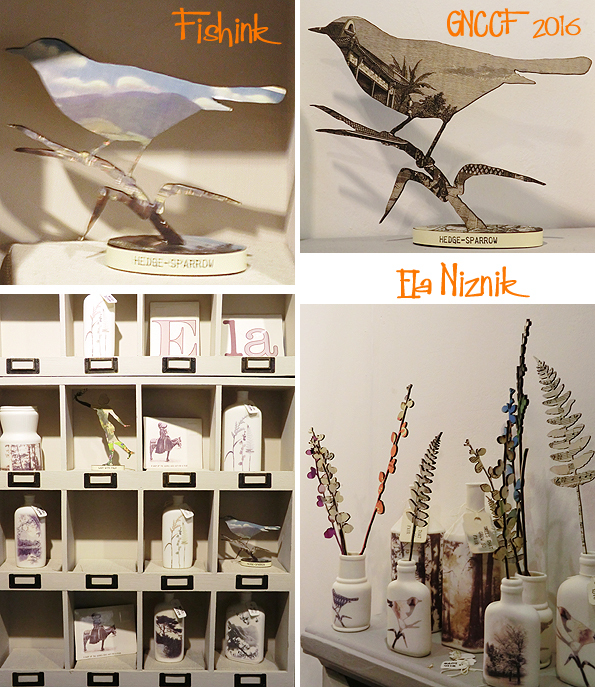 More birds and vases from Ela Niznik. 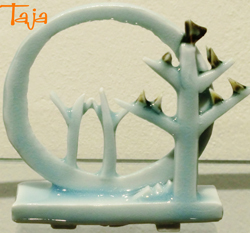 Her range of handmade, unglazed porcelain objects of sentiment, featured images and motifs inspired from mementos of the past. A clever accident that this bird found an eye using a window on a Victorian book engraving. Lovely cut out ferns and flowers using old sheet music too. 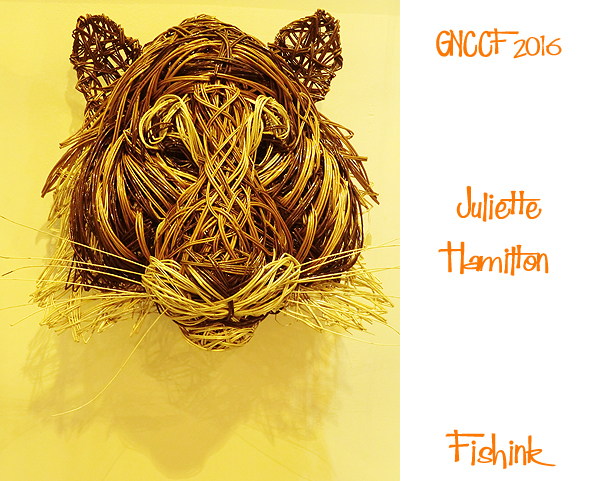 This majestic tiger from willow weaver Juliette (http://juliettehamiltondesign.com/). Thanks Mandy for sharing this.